By promoting a positive ethos we make every effort to develop students’ confidence, self-esteem and promote self discipline and motivation in each person. Students are encouraged to take leadership roles in the college where possible. Examples of this include Class Leaders, Student Council and Green Schools Committee. 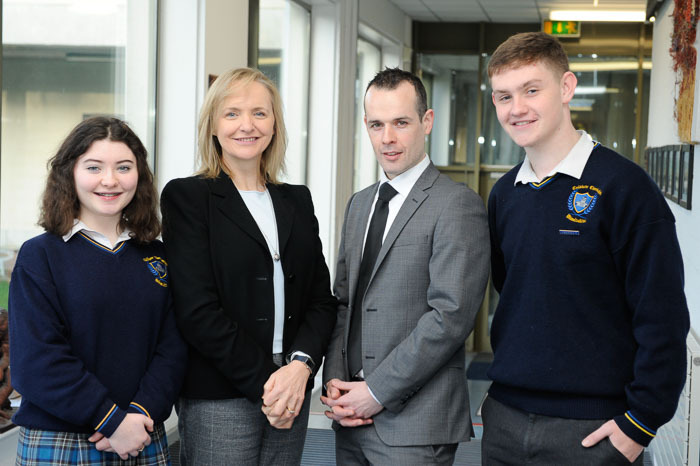 At the end of Fifth Year in St. Kevin’s students apply and are selected to be College Prefects, and two head prefects are elected. Prefects play a role in helping to maintain good order and responsible citizenship among the student cohort. They also have an important role in acting as mentors for first year pupils and helping those pupils who may be experiencing difficulties integrating with their peers. Additionally the Prefects are involved in supporting extra-curricular activities in the school.